Thank you for the heartwarming comments about my photos. It's always wonderful to have such an appreciative audience. Merci beaucoup! 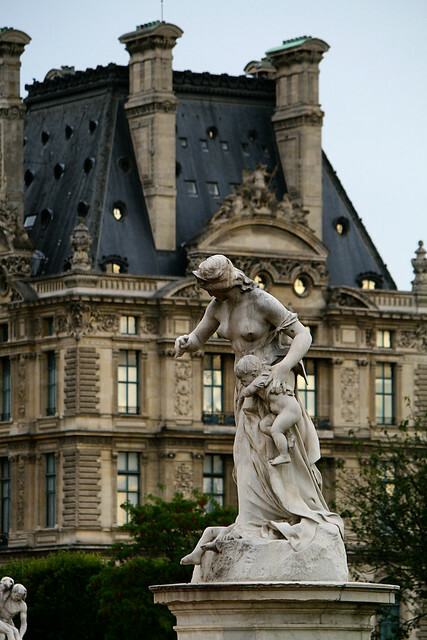 Let me take you on a sightseeing tour of Paris through my camera lens. As you get out of the Champs-Élysées – Clemenceau metro station, you're immediately surrounded by several grandiose palaces namely Grand Palais, Petit Palais and Palais de la Decouverte. It's truly a sight to behold if this is the first time you've clapped your eyes on these ornate buildings. 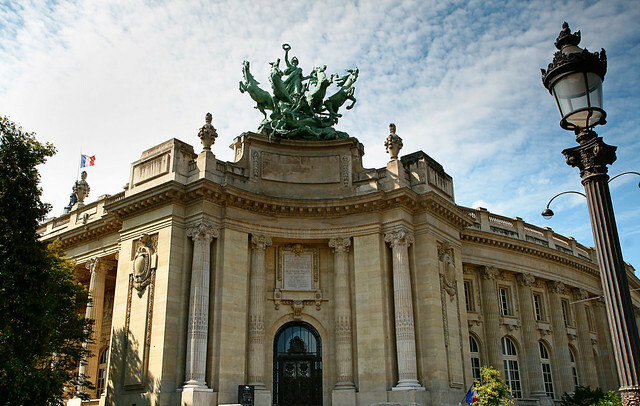 Palais de la Decouverte, Palais de la Decouverte or otherwise known as Palace of Discovery is actually a museum which features mathematics, physics, chemistry, geology and biology. 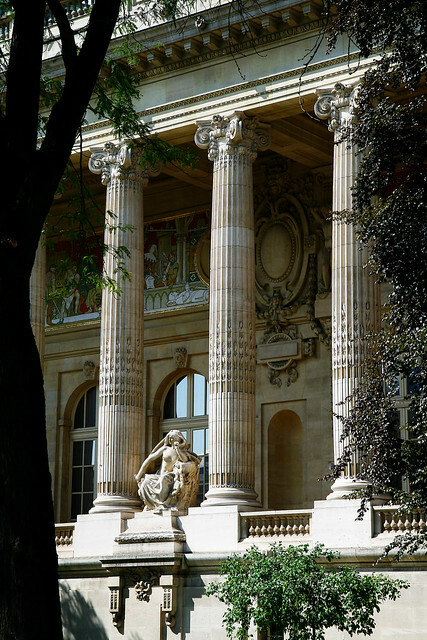 It is located in one of the wings of the Grand Palais. 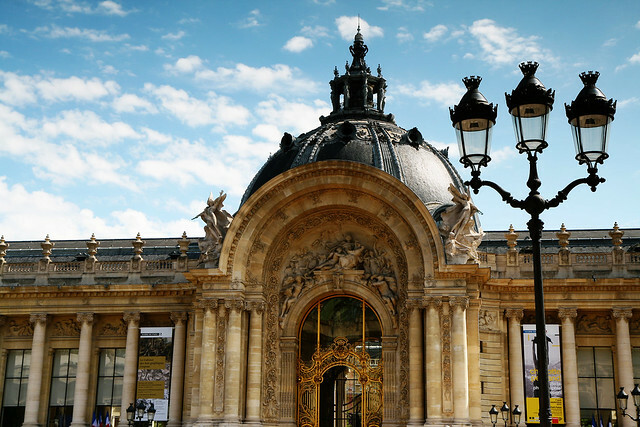 Petit Palais is a museum of arts and houses some of incredible works by Cezanne, Rodin, Rembrandt, Modigliani amongst many other famous artists. 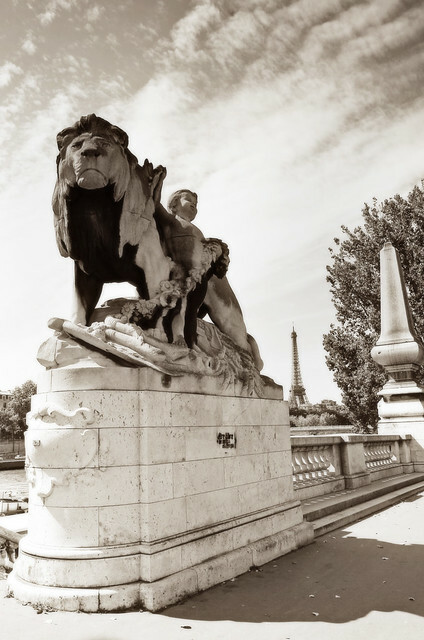 As you walk past the palaces on either side down Av Winston Churchill, you'll come to Pont Alexandre III, the most beautiful bridge in Paris. 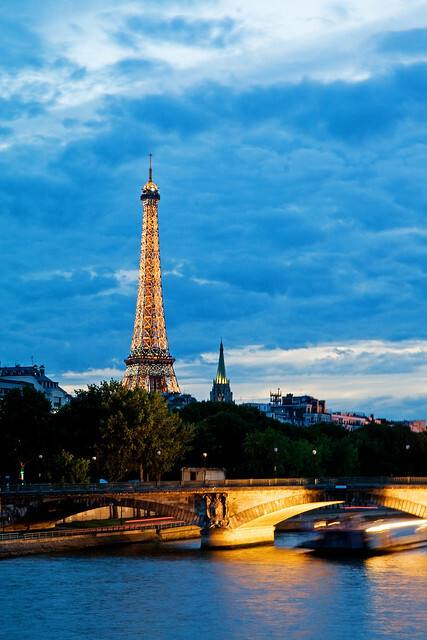 It's also a short walking distance from the Eiffel Tower. 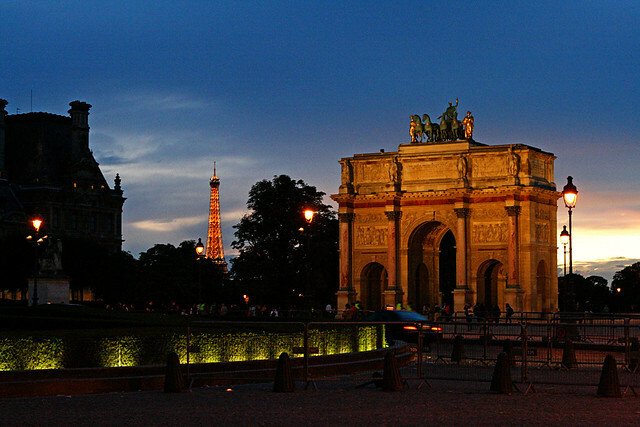 The bridge connects the Champs Elysee quarter with the Invalides on the Left Bank. 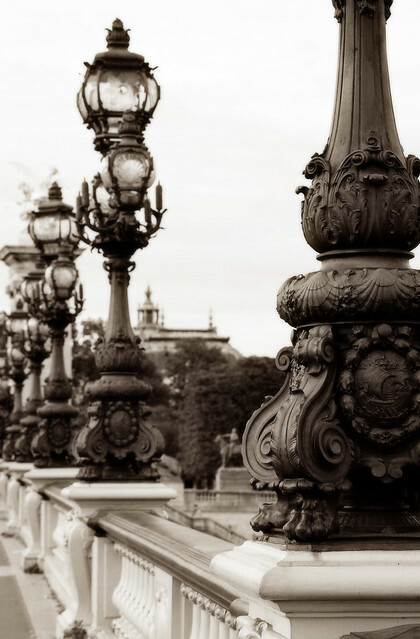 The foundation of Pont Alexandre III was laid by its namesake's son. It's a fine example Art Noveau with elaborate sculptures of nymphs, Pegasus and cherubs. It's also a wonderful place to catch the sunset. Now just before we cross the bridge over to Les Invalides, let's veer off to the left into Jardin des Tuileries. 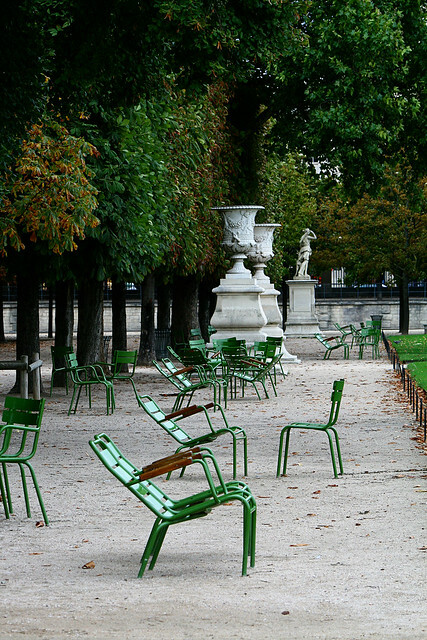 The park was initially commissioned by Catherine de Medici for her palace in 1564 and was only accessible to the public after the French Revolution. 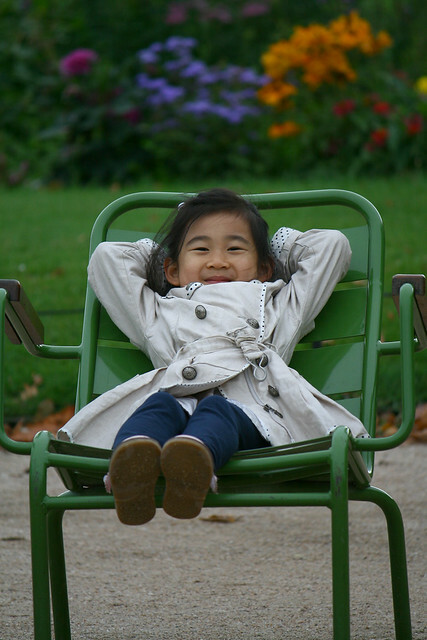 Despite the frantic pace of Paris, one can always find a chair at Jardin des Tuileries where you can just settle back and people watch. Little L did just that, much to the amusement of many passerby. 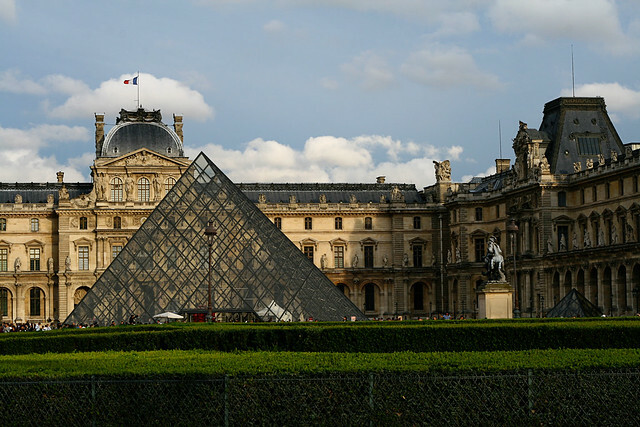 As you reach the end of the park, you'll see I.M Pei's wonderful glass pyramid at the Louvre. 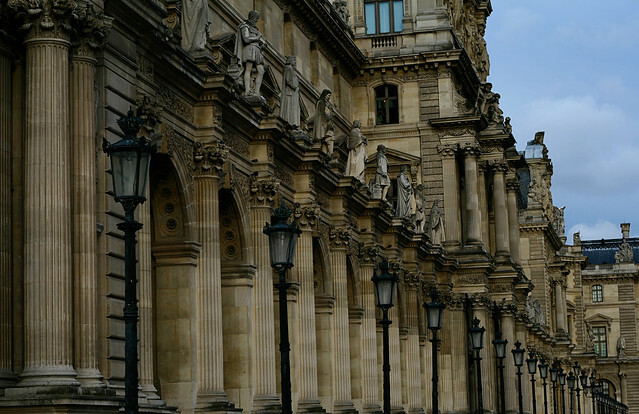 Musee du Louvre was once a fortress back in the 12th century. These days, it's one of the largest and most visited museums in the world. 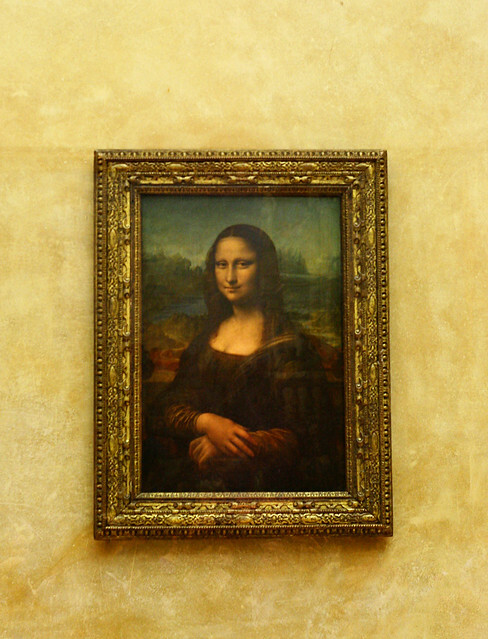 The Monalisa by Leonardo da Vinci is on the lips of many who visit the Louvre. However, I was enthralled by the splendid paintings on the ceiling. Thank you for all the glorious pictures! I hope you had as beautiful a time as they suggest. 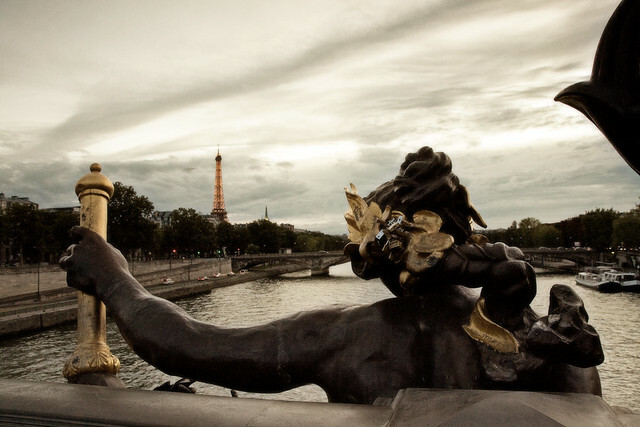 Paris looks even more beautiful than I remember through your lens! I'd love to compose pictures through your eyes ... just beautiful! AA, your compliment means a lot especially coming from a photographer. We had a great time but there were more that I couldn't cover. I guess that means we'll have to go back to Paris again. S, hope you're keeping well. Thinking of you! chicology, I'm glad you like the photos. Lauraloo, awww....thank you! I guess seeing it brings back memories of your own trip. DA, you are an amazing photographer! I can only gaze in wonder at the photos you'd taken. Toothfairy, I'm glad I could be of some help. I was very frustrated initially when I checked out the other stores. Most didn't have all the styles or sizes. In future, I'd stick with Rue de Saintonge and avoid the rest.